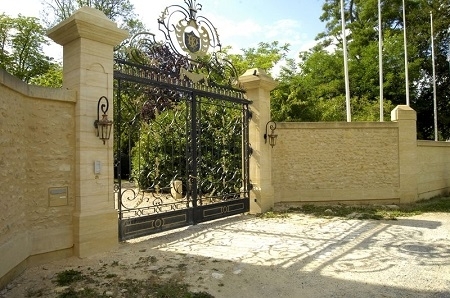 Do you have a beautiful house but haven’t got around to complimenting it with an equally beautiful entrance? Why not give us a call to discuss cut stone piers or an entrance at 086-8108035. We supply custom made piers and entrances, whether it be replicating a classical design or creating something new and modern, we can assist you in the design and then make and supply the stonework for your desired entrance. When you want to make a statement, there is nothing quite like a solid cut stone pier to set off your entrance, after all this is the first view your visitors will get when approaching your house. ​SuedeStone are Ireland’s leading natural stone staircase manufacturer. 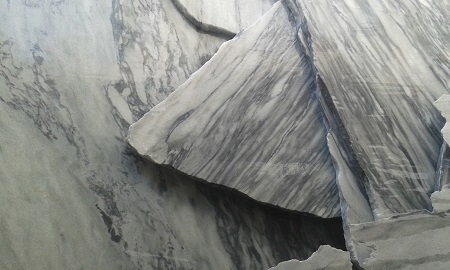 We import our stone directly from the quarry and manufacture your stairs in Co. Limerick. Regardless of size or complexity, if it can be made from stone, then we can do it. 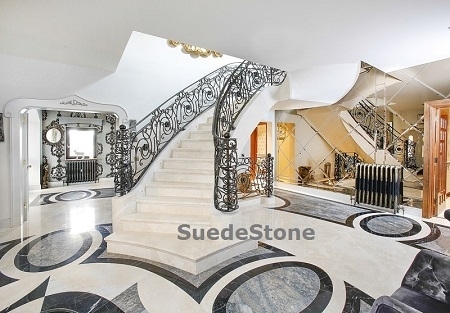 Pictured left is a beautiful white marble staircase complete with solid curved stone stringers (sides) and a water-jet cut stone floor to match. We will dress your concrete staircase in marble or a stone of your choice. We can take your stairs right from the design stage through to completion including wrought iron railing and handrail. 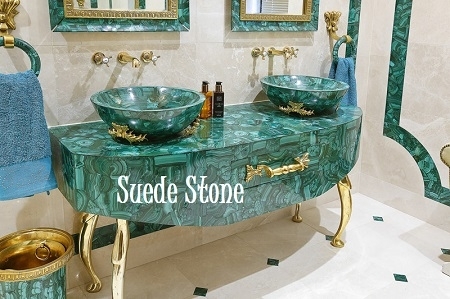 ​SuedeStone can supply and fit all your natural stone bespoke items. Pictured above is a bespoke genuine malachite vanity unit complete with vanity bowls and malachite bathroom accessories. We can also design, manufacture and install water-jet cut stone flooring (pictured above), hand crafted mosaic flooring/wall panels, bath surrounds, fireplaces, stone skirting, window boards etc. all made from the stone of your choice. ​SuedeStone can supply and fit all your natural stone tiling needs. We source our tiles directly from quarries thus saving you on fees charged by middle men. We are 20 years in the business, so you can rely on our expertise and experience to give you the best possible results at a price you will love. We can offer marble, limestone, and travertine tiles for walls and floors both residential and commercial. Please see our tile Gallery or call for an appointment to visit our yard for yourself.